Since the 2015 launch of its flagship product, the cartridge-based e-cigarette Juul, Juul Labs has taken the e-cigarette industry by storm. Despite its rapid growth and increasing market share in the e-cigarette/vapor space, the company has ultimately become a victim of its own success. While it has stood behind its message of attempting to get the world’s roughly 1 billion smokers to stop smoking traditional combustible cigarettes, its products have had an unintended effect in that Juul has become increasingly popular with minors, leading to what the U.S. Food and Drug Administration (FDA) considers an “epidemic” of underage e-cigarette use. Since Dr. Scott Gottlieb, the commissioner of the FDA, laid out his comprehensive regulatory plan on the agency’s view toward tobacco products in July of 2018, flavors in tobacco products, particularly e-cigarettes, have taken center stage in the ongoing debate regarding flavored products enticing a new generation of children to start smoking. 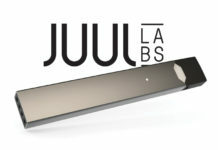 The news did not improve for the company in the subsequent months, with the FDA: (1) announcing a crackdown on retail sales of Juul products and demanding the company submit documentation related to its marketing practices as well as the public health impact of its products on youth, (2) requesting in September 2018 that the company and several other large manufacturers of e-cigarette/vapor devices submit action plans showing how they intended to curb the use of their products by minors, and (3) conducting an unannounced, on-site inspection of the company’s headquarters in early October 2018 during which the agency seized documents. 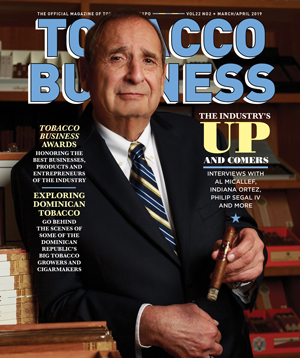 In light of all of these issues, as well as on the eve of the FDA’s supposed new regulatory plan governing vapor products, cigars and cigarettes, the company put forth its own action plan and harkened back to its core message of helping adult smokers of combustible tobacco products transition to a safer alternative. On Nov. 13, 2018, Juul Labs CEO Kevin Burns announced the company’s plan going forward to curtail use of the Juul vapor device by underage users. The major components of said plan are as follows. The company announced that as of 11 a.m. on Nov. 13, 2018, it would no longer accept orders of its flavored tobacco products other than products flavored with menthol and mint (i.e., mango, creme, fruit, cucumber and kits containing said flavors) from distributors and direct-ship retailers. The company stated that such flavored products would only be available on its website, and only upon proceeding through a sophisticated age verification system. This practice would continue until such time as retail outlets and distributors complied with the company’s 21-plus restricted distribution system (RDS), the details of which the company stated it would announce in early 2019. In addition, the company stated it would continue to crack down on unauthorized online sales of its products through third-party retailers. The company stated that it would provide a limit on bulk purchases of its products, limiting customers to no more than two devices and five refill kits per transaction. In addition, the company stated that it would monitor the FDA’s compliance check inspections database and take financial action against those retailers who receive civil money penalties from the FDA for selling its products to minors, violating the company’s aforementioned policy on bulk purchases or otherwise violating compliance standards. Retailers and distributors who repeatedly violate these standards would be permanently banned from selling the Juul device in the future. The company stated it would implement a tracking program that could monitor products through the distribution chain and provide backward trace compatibility, showing the distribution chain from consumer to retailer to distributor. The company stated this process would allow it to pinpoint faults or access points by minors in order to prevent compliance violations in the future. In order to combat the notion of using social media to promote e-cigarette usage among youth, the company stated that it would be deleting the mass majority of its presence on social media, including its U.S.-based Facebook and Instagram accounts. In addition, the company stated that it would keep its Twitter account active to convey company information and updates to the general public, and that it would also confine its YouTube account to highlight testimonials of adult smokers who now use the Juul and would support a 21-plus age gate restriction. The company also hinted at the notion of its work on and plans to launch a new, Bluetooth-enabled Juul device with built-in measures to curb potential use by underage users, including potentially not allowing such devices to work within the vicinity of schools or other public places. The company stated that it planned to initially launch the device in select international markets but expressed its desire to bring it to U.S. markets after clearing the device with the FDA through the premarket review process. 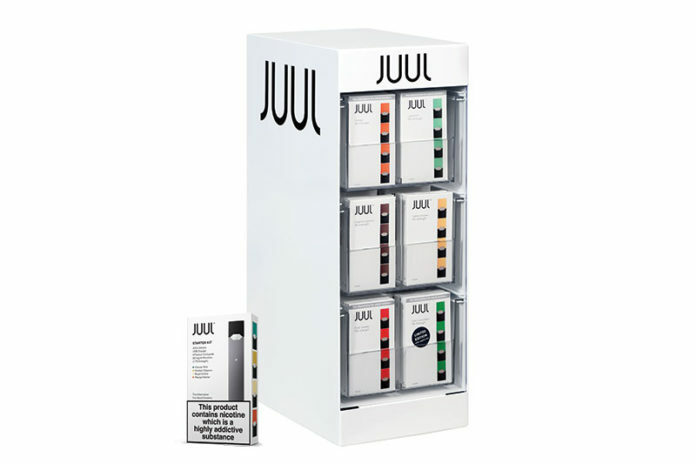 Time will tell if such actions will curb usage of Juul Labs’ products by underage users. That being said, the old adage rings true in that self-regulation is better than government legislation. – Contributed by Andrew Schmidt, an associate counsel at Kretek International.